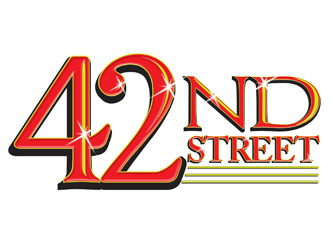 42nd Street is proudly sponsored by The RM Cool Company- Becky Cool, Southbay Magazine, Daily Breeze, ReMax Estate Properties, and Bennett Landscape. JUST ANNOUNCED - MOTHER'S DAY SPECIAL! Buy one adult ticket at full price and receive 50% off an additional ticket for your mother on her special day! Offer good for matinee performance on May 13 only. Cannot be combined with any other offer, limited availability, limit one 50% off ticket per transaction for Section A and B only. Use code "mom42" when purchasing your ticket online, on the phone, or in person. Facility Fees: $5.00 per ticket applies to web orders, phone orders, and box office window orders. TICKET SALES FINAL- NO REFUNDS - EXCHANGES TO A DIFFERENT DAY WITHIN THE SHOW RUN COST $5.00 PER TICKET (UNLESS YOU ARE A SEASON TICKET HOLDER). NO EXCHANGES TO OTHER PVPA SHOWS.